I can remember the day Andy came home and told me he had won a trip for two to Florence with his work. Of course I was really pleased for him, he had worked hard and this was in recognition of this. But, I knew the question was coming and the discussion would begin of us both going to Florence and leaving the girls. I have been a mummy for just over three and half years and I have only ever had one night away from Alice and that was over two years ago and I have never left Holly overnight. Why? Well because the situation has never occurred that I have needed to leave them. Yes, I have time away from them in the day and evenings, but it’s never more than a few hours. After a long chat and my wonderful parents offering to look after our girls while we went, we made the decision that we would go. I know the girls will have a brilliant time with their nan and grandad, but still the thought of getting on the plane without them makes me feel nervous. Mum guilt kicking in again…but, I will worry about that later. For now my focus is getting the girls ready to be away from us. 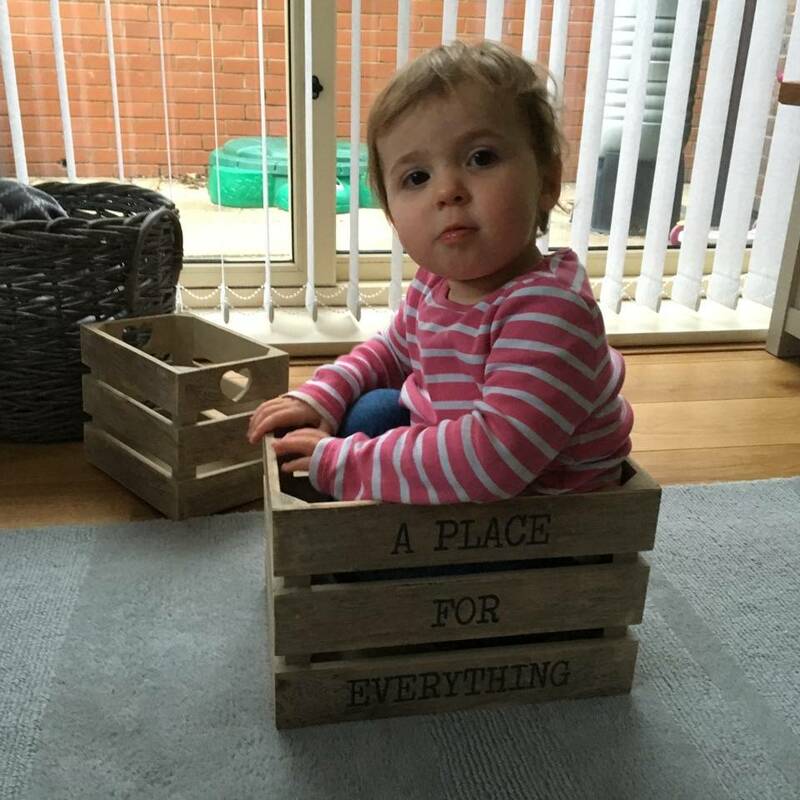 Since Christmas when Alice watched an episode of Peppa Pig and Peppa and George were having a sleepover at Grandma and Grandpa Pigs house, Alice has been asking about having a sleepover at her grandparents house. Of course my parents were only to happy for her to come to stay. We know that Holly will be fine sleeping at their house, as she has her nap at my parents house every week while I take Alice to her ballet lesson. The sleepover finally happened last Saturday night and Alice was beyond excited, she had been talking about it for weeks. Chatting to my mum about the dinner she would like, which was pie, mash, peas and carrots. Isn’t it funny the things they come up with? Anyway that is what they were going to have. We had to remember to pack her dressing gown, so she could be like nanny in the morning and wear it to breakfast and for breakfast she would have Shreddies and nanny would have Special K. It was like a running commentary of everything that she would be doing. She just couldn’t wait. We woke up on Saturday and went swimming, then once we got back and finished lunch that was it she was off. We packed up her Trunki, making sure we didn’t forget the dressing gown! 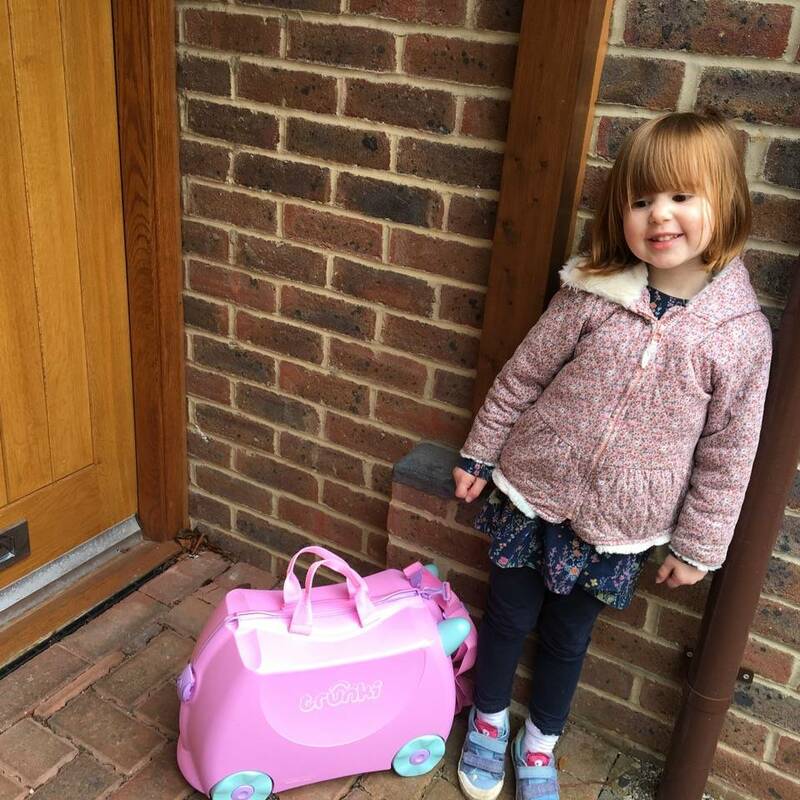 She ran up their drive pulling along her Trunki, she couldn’t get their quick enough. Greeted by my mum with a big hug, who I think was just as excited to have her to stay. I barely got a cuddle and kiss goodbye, which I am ok with, to see my big girl so happy is the best feeling. It was so weird not having Alice with us, but also nice to have some time just with Holly, which you don’t get to have as much with your second child. While Holly was getting up to mischief at home…. 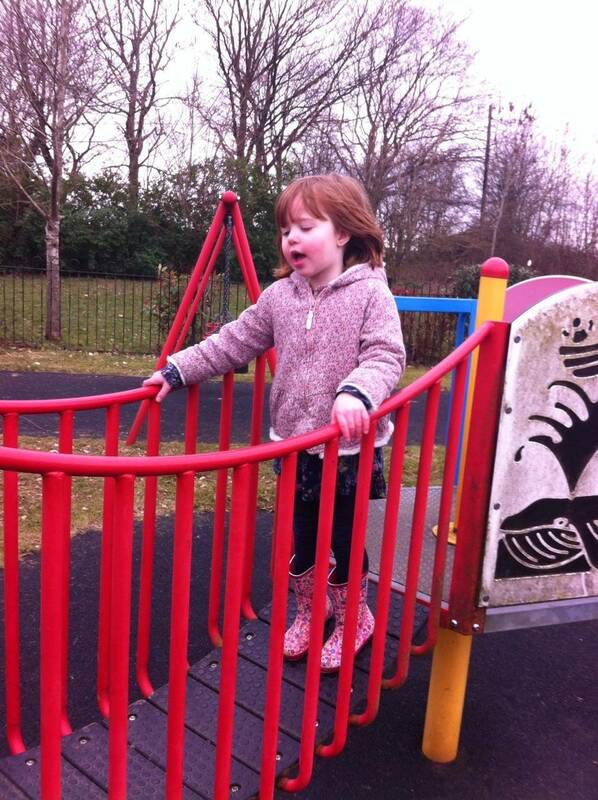 My mum sent me this picture of Alice at the park, apparently she was being Elsa on the bridge. When it was time for bed, Andy went and bathed Holly on his own, which was strange as we normally both do bath time as it’s easier and quicker. I didn’t know what to do with myself, then I went up to put Holly to bed. When I left Holly’s room, I didn’t like seeing Alice’s room empty and I had to close the door, just so I could pretend she was sleeping behind it! I got a message from my mum telling me that Alice was asking to go to bed, because she wanted the actual sleepover part to begin. The bit that she hasn’t done before, the bit that she was so desperate to do. 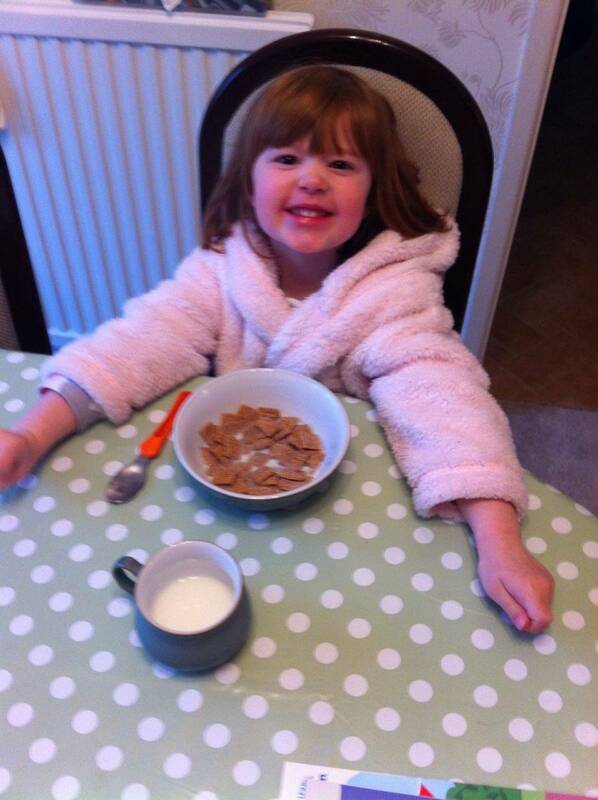 The next morning I woke to a picture from my mum showing Alice having her breakfast, look at that happy face…and of course wearing the dressing gown! After lunch I went to collect her and I was greeted with a happy Alice. Yes, she was tired because she hadn’t slept as well as normal, but that was I expected to happen and luckily what my mum was expecting too. My mum said when she woke up at 2am, saying she wanted to go for breakfast, again just desperate for the next stage of the sleepover. My mum told her she had to wait for daylight!! All the way home and until the minute she feel asleep that night she talked about her sleepover and asking if she could go again. Next time she wants to take Holly with her, as she thinks Holly would love it too. I don’t think I have anything to worry about leaving my girls with my parents, they both adore their grandparents and the sleepover was definitely a hit. Oh you couldn’t have asked for it to be better could you! What a lovely Way for her to have a treat and for you to banish any lingering doubts about going away. We are in a similar situation, we are planning to leave the children overnight to go away for our 10th wedding anniversary and I definitely share your nerves! Aww sounds like she really enjoyed herself. My two didn’t go for their first sleepover at their Gran’s house until they were 4 and 6! Before then it never even occurred to us to do the sleepover thing but they absolutely love it. And it’s good to have that time for you and your other half. It’s so hard to leave them isn’t it! At least you know they will be happy with your mum so you should go and have an amazing time!